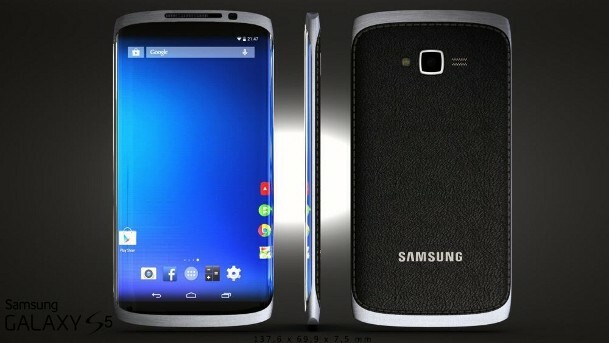 Samsung Galaxy S5 Specs Leaked, Features Snapdragon 805 or Exynos 6 64bit Octa Core, Quad HD Display and More! A few days ago, a new information regarding the specifications of the most anticipated Android smartphone, the Samsung Galaxy S5, surfaced. This time, the specs (and its sources) revealed a more realistic and authentic information. Based on the tweet of Eldar Murtazin (@eldarmurtazin), the Samsung Galaxy S5 will have a 5.24 inch Super AMOLED display with quad HD resolution at 2560×1440 and 560 ppi. It will have two variants, one will be powered by a 2.5GHz Snapdragon 805 and the other will be powered by Samsung’s Exynos 6 64bit Octa Core processor. It will also features a 16 megapixel rear facing camera paired with a 3.2 megapixel front facing camera. And finally it will be powered by a 3,200 mAh battery. It seems to me that this is one powerful smartphone. But Samsung better pair these jaw dropping specs with new and interesting features or apps. Otherwise, it’s just a phone with all brawn and no brains. In addition to the recent leaked specs mentioned above, the Samsung Galaxy S will also have 3GB of memory and will have a 32GB and 64GB storage capacity variant. It will run on the latest Android 4.4 Kitkat but with a new Touchwiz interface (previously leaked by @evleaks). There will also be a 3G and a 4G LTE Advanced variant. Knowing Samsung, I bet they are going to release several variants of this phone like a mini version, all metal premium variant, a cheaper plastic variant, an active version, a dual SIM version or whatever else they can think of. 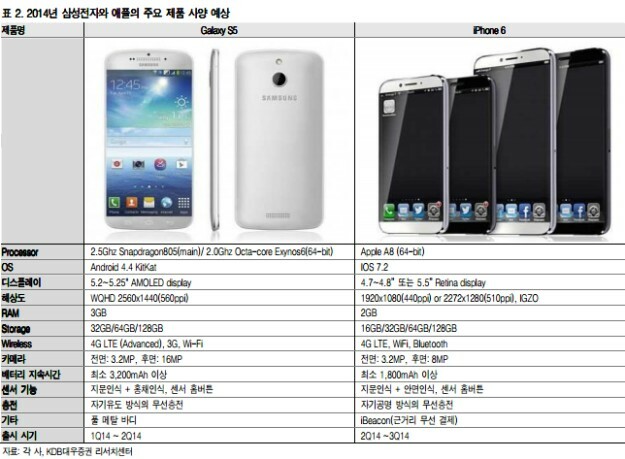 Another source of the leaked Galaxy S5 specs came from a top South Korean brokerage called KDB Daewoo Securities. The said company is known for revealing accurate information about upcoming and unannounced devices. The specs revealed by KDB are closely similar (or it is similar) to what Eldar had tweeted. Further, they compared the Samsung Galaxy S5 vs the upcoming iPhone 6. According to their leaked information the Galaxy S5 will outperform or out shine the iPhone 6 based on specs alone. But that’s just too early to conclude right now. And lastly KDB confirmed that the Galaxy S5 will be Samsung’s first flagship smartphone to feature an all-metal case (finally!). The Samsung Galaxy S5 is expected to be unveiled in the Samsung Unpacked 5 event this coming February 24 at the Mobile World Congress in Barcelona. It is also reported that the Galaxy S5 will have lots of applications and some new accessories like the S Brand bracelet. Well, until the phone is officially unveiled during the said event, all the specs mentioned should be taken with a grain of salt.